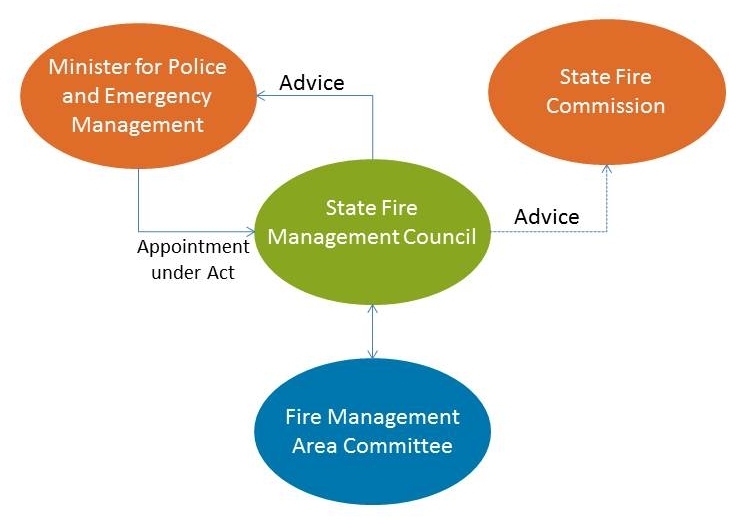 The State Fire Management Council is an advisory group to the Minister, the State Fire Commission, and sits above Fire Management Area Committees. SFMC is made up of the major land managers within the State along with government agencies responsible for the management of bushfires in Tasmania. Member organisations include government and independent representative bodies that are appointed by the Governor of Tasmania. Last Updated - Fri Apr 12 08:50:03 AEST 2019.